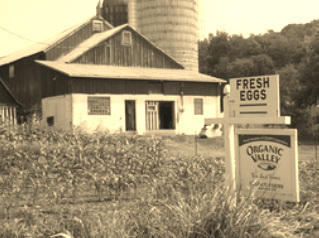 3 Sisters’ Farm is established at Ullrich Farms, an organic dairy in the Truxton Valley, NY. Ullrich Farms was established in 1987 by the Ullrich Family. The 3 Sisters’ Farm is the next generation’s project of the Ullrich/Williams family farm. The three daughters were raised on the dairy farm and want to create agricultural advances in their community. The 3 Sisters’ Farm CSA is the next step in the Ullrich Farms organic farming development. A CSA is an alternative, locally-based model for marketing and distributing food. A CSA also refers to the group of individuals who have pledged to support a local farms, with growers and consumers sharing the risks and benefits of food production. CSA members or subscribers pay at the onset of the growing season for a share of the anticipated harvest; once harvesting begins, they receive weekly shares of vegetables. A CSA “share” is typically enough to feed a family of 4. A half-share is half the quantity and a Senior share will provide enough for 2 but is for those over 65 and on a limited budget, hence the weekly payment option.